Wastage/Maintenance : One key area of financial mistakes we lack is maintenance, many entrepreneurs care less of their property forgetting that regular maintenance of those things can safe some money on the long run.Instead of buying a new one, why not handle the one on ground carefully and utilized.On the long run, such maintenance and utility will help save some extra money. Have you been thinking on how tomake money online by selling? yes its very simple, you can make money by selling your products, service, talent, property, sell stuffs etc simply by using online selling which can also be called online advertisement. What to sell online: you are free to sell stuffs online, sell product online, sell cars, sell pics, sell articles, sell house materials, sell craft, sell phones, sell Tv, sell electronics, sell unwanted household materials, sell anything online and make money on every sales. Perfect Money is a popular Online payment gateway in the world which maybe an alternative for Paypal because it allows users from all over the world. 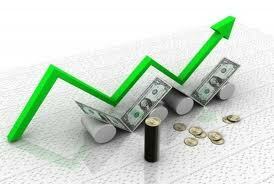 Perfect Money is used to make payment online, accept payments, buy gift items, buy or sell inform currency.The New thing now is that the Perfect Money can be withdrawn with your Atm card using F51 prepaid card.You can use the Fortune51 Prepaid Debit Card and withdraw money from your Perfect Money. Fortune 51 is partnering with Payoneer to help you with meeting your epayment solutions.The F51 Payoneer Prepaid Debit Card works just like any other Prepaid Debit Card card. 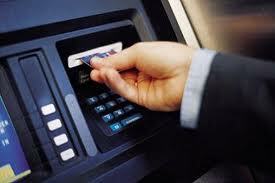 You can use it at a point of sale location to make purchases and at an ATM* to withdraw cash. With the added security of choosing your own PIN, you can be assured of no unauthorized use of your card.